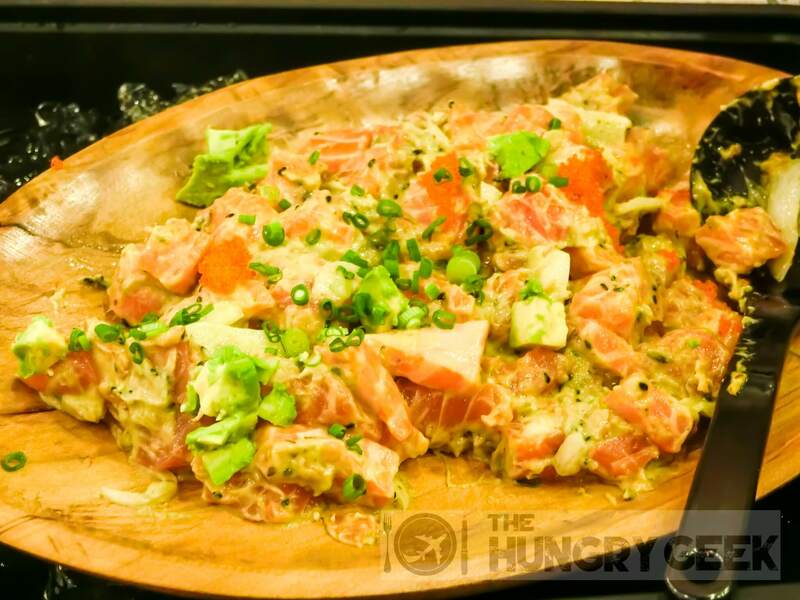 A group of banker friends went to Hawaii in September 2014 and discovered this delicious and healthy Hawaiian pokē (pronounced as “PO-kay” by the native Hawaiians) dish with copious amounts of tuna and salad. They fell in love with it and decided to bring it to Singapore. Fast forward one year and we now have a nice cool Hawaiian-themed cafe & bar right in the middle of the Central Business District with the most delicious Hawaiian food. 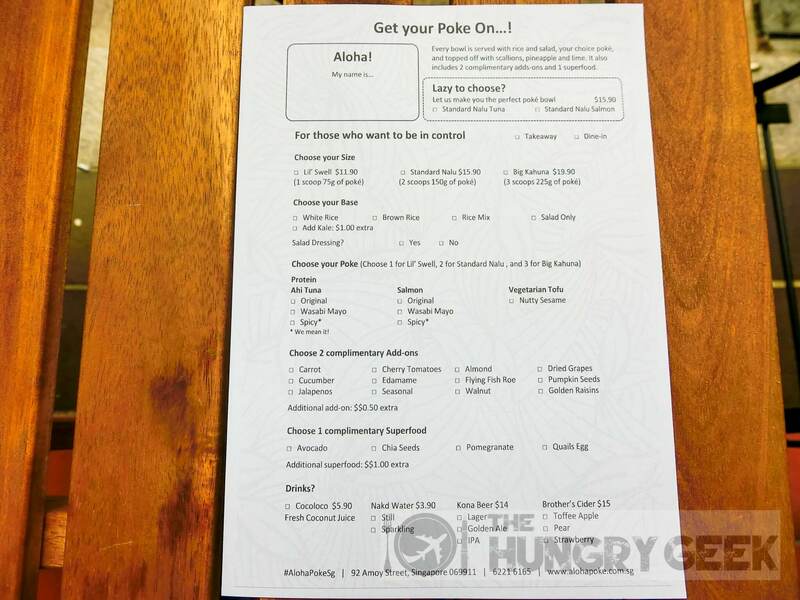 I had the opportunity to attend the soft launch of Aloha Poke back on 7 October 2015 at the invitation of one of the owners who is a dear friend of mine. 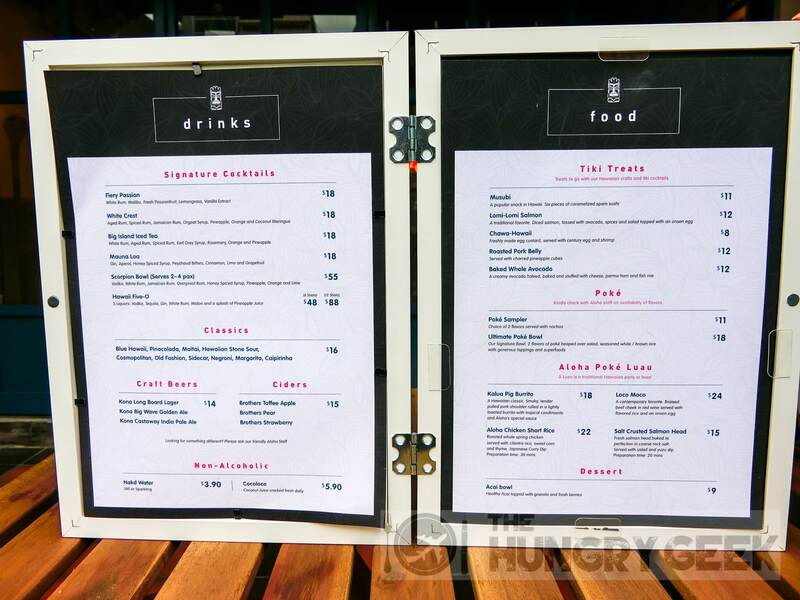 Well, TheHungryGeek didn’t exist then and we have been trying since our launch to find a good time to drop by again to try their new menu. 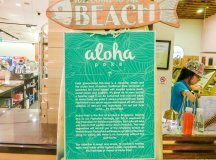 Before we could write anything on this, Aloha Poke got featured all over the local press and their popularity exploded through the roof. 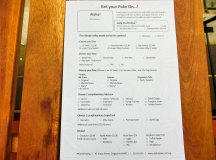 The ordering system and menu is very different for lunch and dinner. 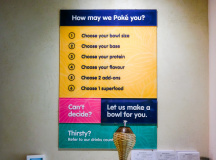 If you come during lunch, you make your order using the provided order slip (2nd picture above) and customise the pokē bowl to your heart’s desire. Office workers nearby can easily drop by for a quick takeaway order. If you come during dinner, you can expect the regular full service with a completely different menu (3rd picture above) that has a variety of Hawaiian delicacies that we really really like. 1. First you choose the size. The smallest Lil’ Swell at S$11.90, the medium Standard Nalu at S$15.90 or the large Big Kahuna at S$19.90. The larger you go the more tuna or salmon you get. 2. Next you choose the carbohydrate base. 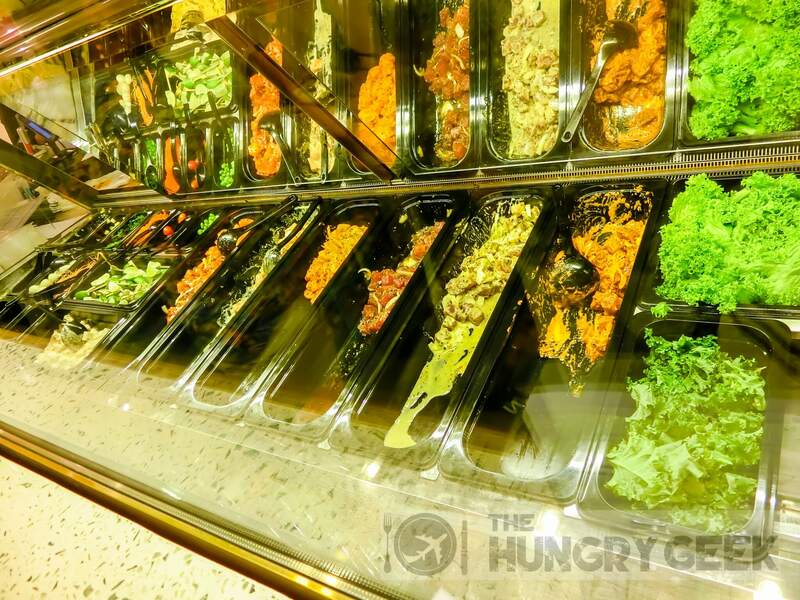 The options are white rice, brown rice, rice mix or salad only. If you are new to brown rice we recommend getting the rice mix, which is a half serving of white rice and a half serving of brown rice. Personally I’m a big fan of brown rice for its serious health benefits and low-Glycemic Index goodness. You can add Kale for S$1. 3. Choose your protein! 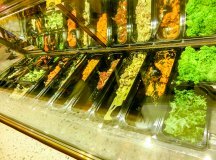 You can either get their ahi tuna (yellowfin tuna), salmon or vegetarian tofu in a variety of flavours. There is original, wasabi mayo or spicy. 4. Choose two super healthy add-ons from a long list that includes flying fish roe, edamame, almond, dried grapes, pumpkin seeds, golden raisins and more. 5. Choose one superfood – either avocado, chia seeds, pomegranate or quails egg. 6. 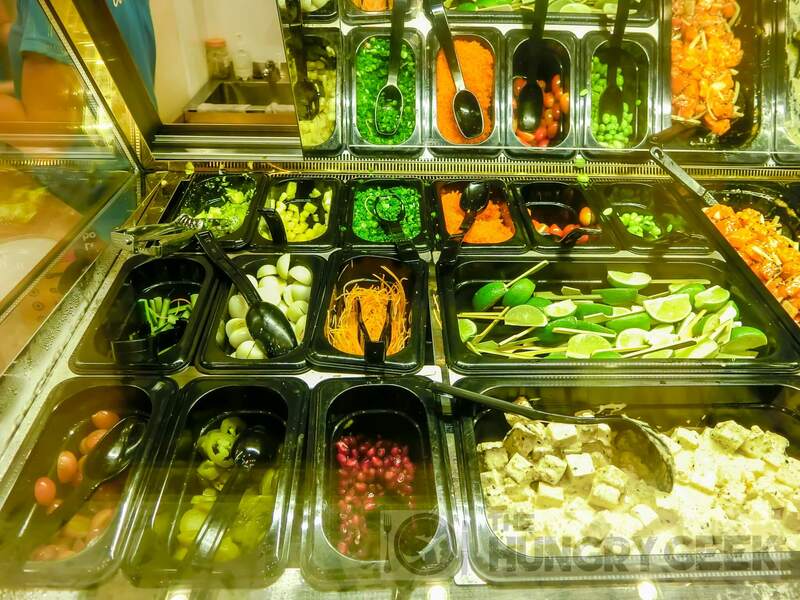 All pokē bowls come with salad, scallions, pineapple and lime. This is their signature lunch item! 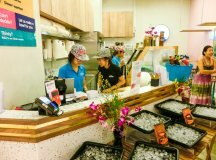 The lunch pokē bowl starts at S$11.90. 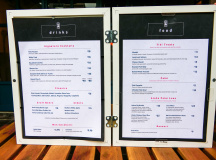 If you come for dinner you can still get this lunch item for takeaway but the customisation options will be limited. If you are dining-in for dinner, you can order their Ultimate Pokē Bowl at S$19.90 which is their lunch offering on steroids. The Hawaiian pokē bowl is refreshing and delicious. The salad and healthy add-ons provide a real flavour explosion that really wakes you up. Make your way down to the tuna or salmon and you will find that everything goes really well with the brown rice (or rice, depending on your selection). Their tuna and salmon is really fresh. We rate this healthy dish 4/5. 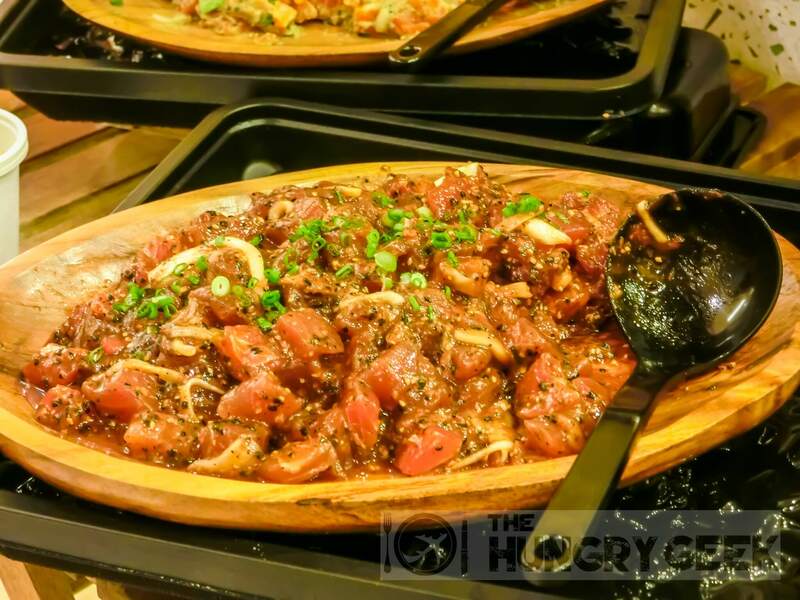 The chef at Aloha Pokē is a multi-talented guy who was previously with a prestigious Japanese sushi restaurant, and they get large whole chunks of fresh tuna and salmon every morning from the same suppliers as the Japanese restaurants in Singapore. So yes, Hawaiian pokē is raw fish salad, but you can be assured that this is completely different from the raw freshwater fish that has been in the news lately for the wrong reasons. 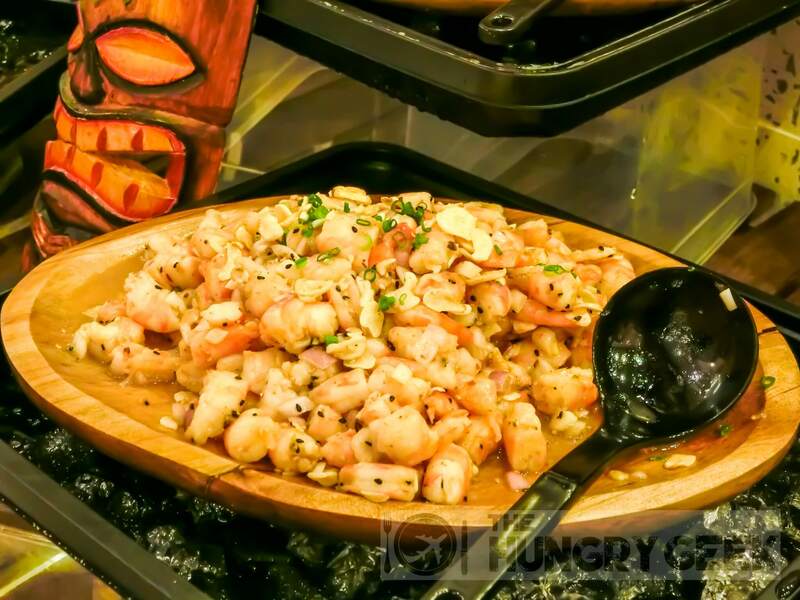 If you would prefer to avoid raw fish, come for dinner instead and you will find a plethora of other delicious Hawaiian foods. As you can imagine, Aloha Poke exploded with their popularity, opening a second outlet at Marina Bay Sands on 15 June 2016. 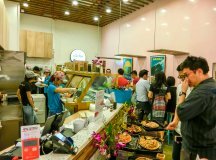 The queues there have been endless since the launch and everyone just loves healthy Hawaiian food. 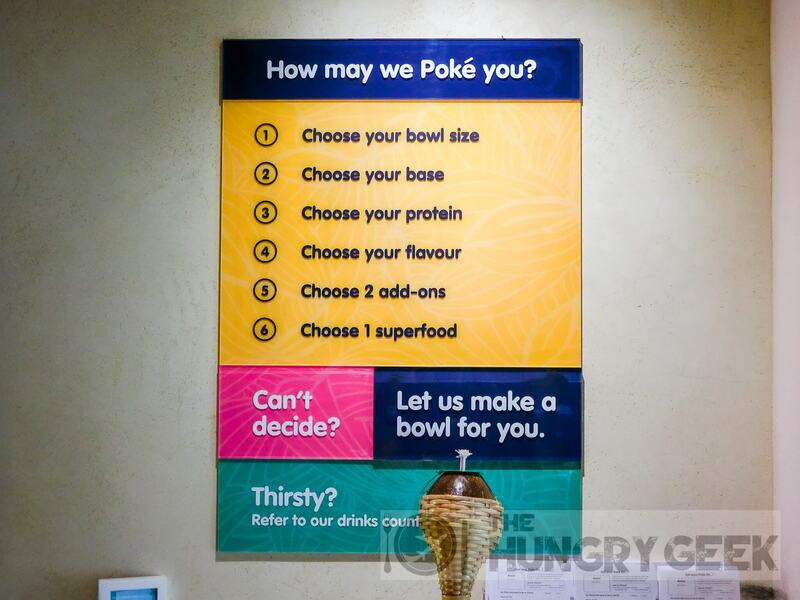 Aloha Poke has taken advantage of this success to expand their protein options with six new delicious flavours! From the pictures above (left to right), they have introduced their tuna favours, with Black Pepper, Mentaiko and Ginger Ponzu! The bottom row has their new Creamy Avocado Salmon, Garlic Shrimp and Kimchi Taco offerings! Yes, for those that don’t really like sushi, their new Garlic Shrimp and Kimchi Taco (octopus!) options will be perfect for you. I was dreaming about Aloha Poke’s Hawaiian musubi since I first had the chance to eat this back in their soft launch. Musubi is luncheon meat coated with the most addictive super-secret sauce and served à la sushi style with sushi rice. 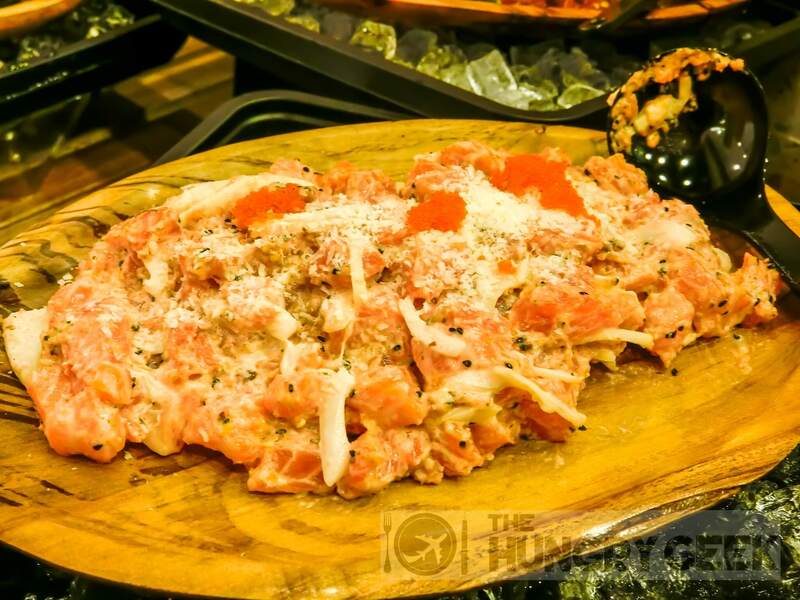 The result is the most delicious bite of luncheon meat that you would have ever tasted in your whole life. One serving of musubi comes with six pieces for S$11. The luncheon meat is served warm and we rate this super delicious musubi 4.2/5. The serving temperature of the luncheon meat is quite important and unfortunately the kitchen has not been able to consistently serve this out at a piping hot temperature. You will usually get it nice and warm. We think that a piping hot musubi would have broken our food rating records. This was the surprise of the evening. Imagine the most tender and delicious slice of beef, drizzled with red wine and some kind of addictive Japanese nitsume sauce (Unagi sushi sauce), served with a piece of fried egg on top of sushi rice. This is just shiok and it is by far one of the most delicious things that we have ever eaten, period. Unlike the musubi, this was served piping hot and we enjoyed every morsel of it. This is priced at S$24. For us we had the hardest time rating this food item. While we paid full price for our meal, this place is still partly owned by a friend. To be on the conservative side, we rate this awesome dish a super delicious 4.5/5. If you ever visit Aloha Poke, you must try this dish. This is really some atas complimentary water! Capable people really know how to get things done right, no matter what they do. My initial thoughts were that three bankers had no business in the F&B industry – I was completely wrong. 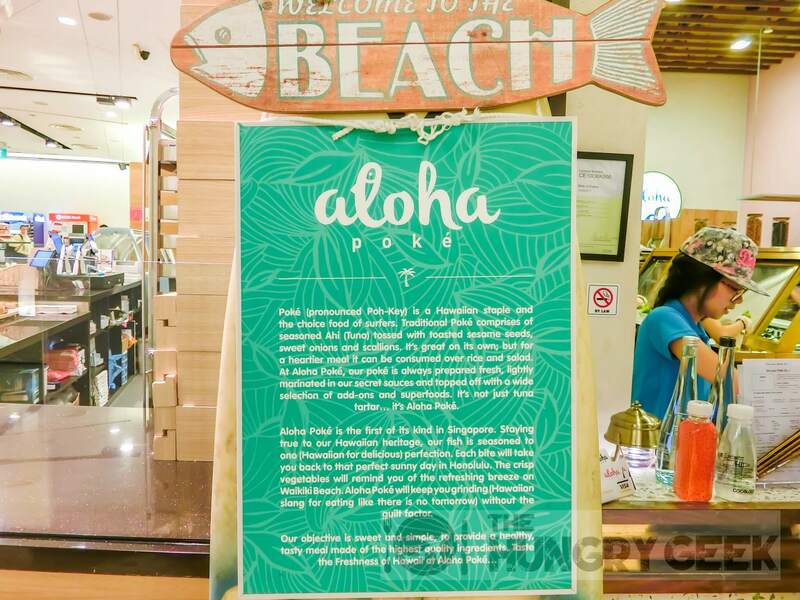 Their food creations at Aloha Poke are simply delicious and addictive. We haven’t felt this much excitement for a dining establishment in a long time. Come for lunch if you want a healthy and fresh Hawaiian fish salad bowl. If you are in the Central Business District looking for a dinner place you must drop by to try their Musubi and Loco Moco dishes. This is also a great place to chill out after work, with a nice tropical Hawaiian ambience as well as a great selection of Hawaiian craft beer and cider. 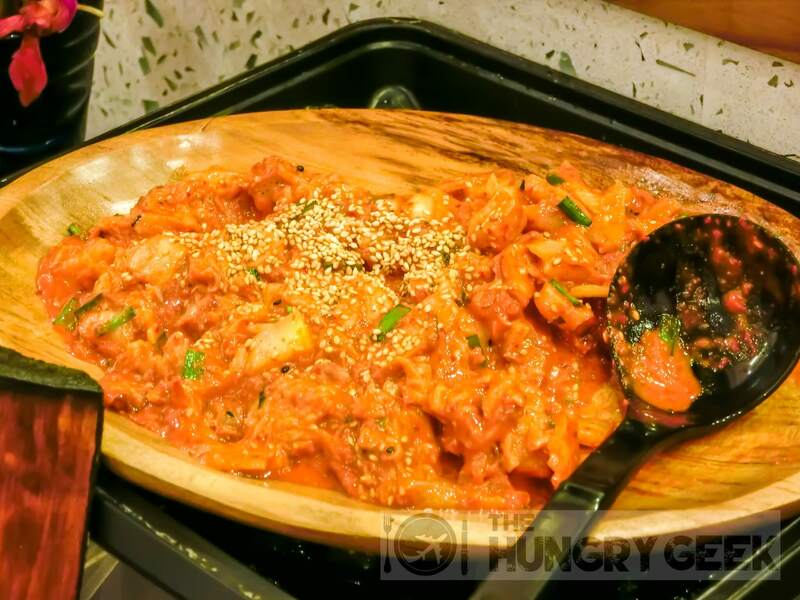 Masizzim – Korean Riceballs, Beef & Pork Stews In "Singapore Restaurants"